Posted on 19, February 2016 by EuropaWire PR Editors | This entry was posted in Awards, Education, Sweden and tagged Britta Lundgren, Lena Gustafsson, Umeå University, Umeå University Medals of Honour 2016. Bookmark the permalink. Umeå, Sweden, 19-Feb-2016 — /EuropaWire/ — Professor and Vice-Chancellor Lena Gustafsson and Professor Britta Lundgren will be honoured with the Umeå University Medals of Honour 2016 for their outstanding contributions to the university. The medals will be presented at the Annual Celebration Ceremony on 22 October. Lena Gustafsson, Professor of Microbiology, has in her role as Vice-Chancellor of Umeå University since 2010 led the University in a meritorious way towards seeing and achieving new objectives in research, education and collaboration. The investment in secure employments has been ground-breaking among Swedish higher education institutions, and her commitment in among other the Swedish Council for Higher Education has contributed to strengthening Umeå University’s role as an important party among Swedish higher education institutions. Under Lena Gustafsson’s management, Umeå University has introduced a new way of establishing working processes, visions and objectives. Lena Gustafsson has also in a crucial way contributed to establishing Umeå University as the Arctic university in Sweden. The establishment of Arcum – Arctic Research Centre at Umeå University – represents an example of Lena Gustafsson’s visions – to implement an intensified borderless collaboration between all faculties at the University. In a decisive and long-lasting way, Lena Gustafsson has contributed to developing Umeå University to one with an international profile and a Nordic regional context of high relevance. Britta Lundgren, Professor of Ethnology, has in a commendable way devoted her work to developing Umeå University through a number of leading tasks. Not least through her assignments as Dean of the Faculty of Arts through a rough period, as member of the University Board and in the work of establishing and developing the successful Graduate School of Gender Studies at UCGS. 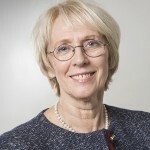 As a dean, Britta Lundgren pursued a prosperous developmental work with the titleHumanistisk offensiv. A comprehensive ambition was to develop the Arts and bring competences in the Arts to the forefront at the University, in society and in the business sector. 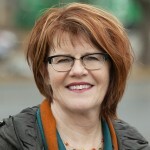 Britta Lundgren has, in an outstanding way, been responsible for the establishment of the Graduate School of Gender Studies and was director of the project between 2000 and 2006. Between 2007 and 2012, she was research leader for the research programme Challenging Gender, which was appointed Centre of Gender Excellence by the Swedish Research Council. Her research has mainly focused on the field of Gender Theory. In the project, Tillit under omprövning (En. Trust reconsidered), Britta Lundgren has studied processes of grief when people have lost a loved one through unexpected fatal accidents. Since 2012, she is active in the field of Medical Humanities focusing on cultural aspects of infection and vaccination. The Umeå University Medal of Honour is awarded to people who have made outstanding contributions to the university. The recipient of the medal can be a member of staff at the university or an external associate; he or she could be active or retired. Between 1985 and 2015, a total of 18 people have been awarded the medal, which since 2010 is awarded every third year. In 2015, a special award was provided in commemoration of Umeå University’s 50th anniversary. The award committee consists of the Chairman of the University Board as well as one of the teacher representatives and one of the student representatives of the Board. Faculty Boards, Umeå School of Education, unions and student unions at Umeå University have the right to suggest recipients to the Medal of Honour.